Midi dresses are one of my favorite styles of dresses but only about 1 in 10 ever work out for me. Most look better on women that are taller and my 5'4" frame often doesn't make the cut. However, there are those rare ones that stand out to me and instantly work. This dress by Moon River was one of those dresses. 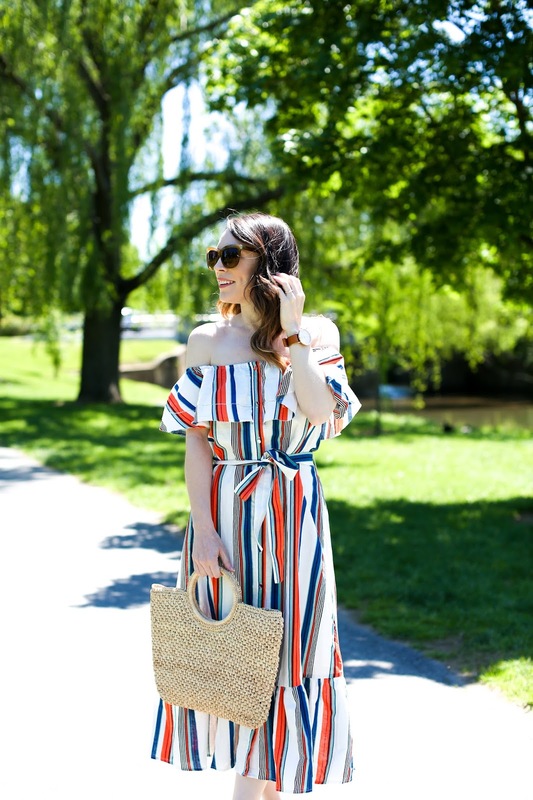 While it is technically a midi dress, it definitely falls a bit longer on me making it closer to a maxi style but nonetheless so flattering. 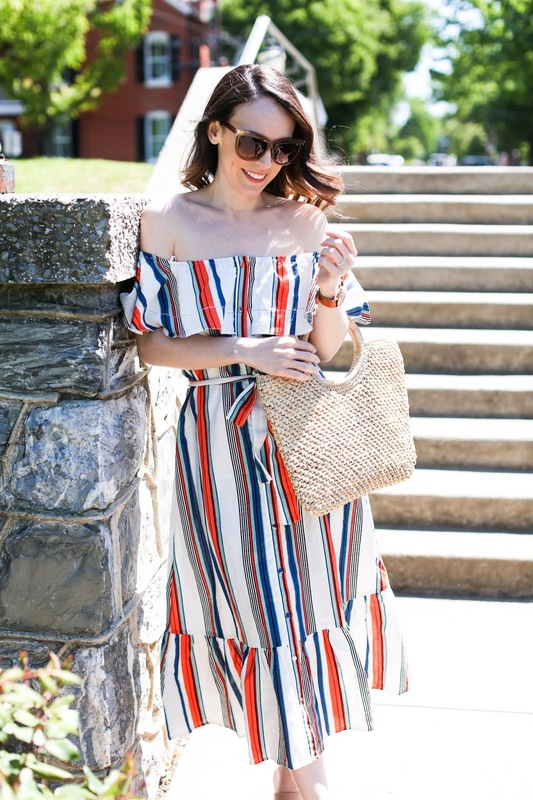 Maybe it's the off the shoulder aspect or the slightly a-line fit with the belt giving a defined waist, but either way I don't find it overwhelms my figure. Sadly it is not part of the Nordstrom Half Yearly Sale, and I kept checking back to see if it would be. Womp, womp. However, I did spot a few really great pieces in amongst the pages and pages of really bad pieces. LOL While I love a good sale, some are better than others and there wasn't too much from this one that got me super excited. 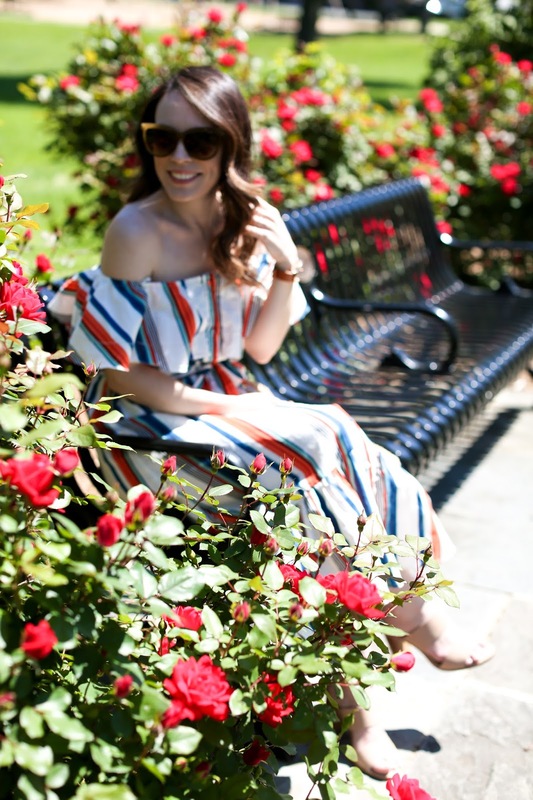 I know that sounds blasphemous especially since this sale is so highly anticipated, but I still did manage to identify a couple of splurge items that were marked down to a good price and a few warm weather pieces that would be a great addition to one's closet. See all my picks in the widget below and click the arrow to the right to scroll through.